As the weather starts to change my skin care routine also changes. I wanted to share my step by step Fall skincare routine to achieve clear and confident skin using Clarisonic. 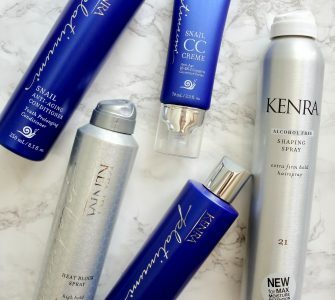 Adding new products into my routine has given me the chance to see what really works to help clear up my skin. 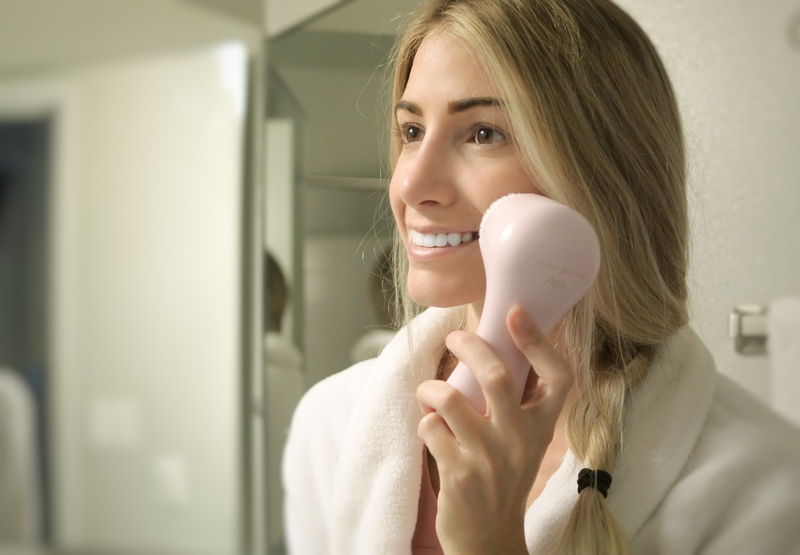 First, I start with the Mia 1 Facial Cleansing Brush ($129). 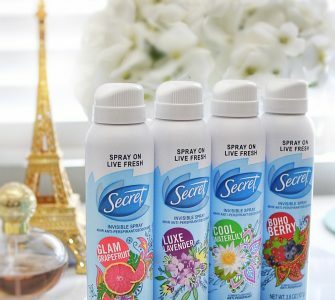 It is the perfect addition and has so many great benefits! 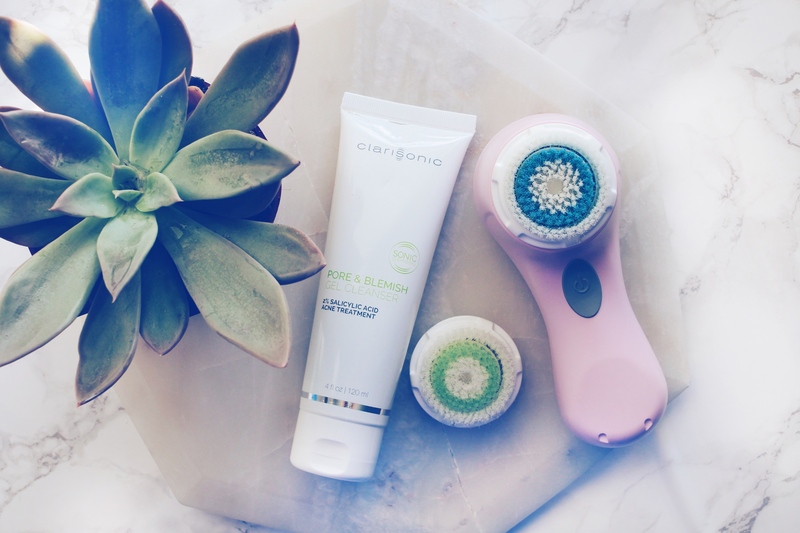 The Clarisonic gently flexes the skin and flushes water and cleanser into pores. It removes dirt, oil and debris that age your skin and cause those awful breakouts. 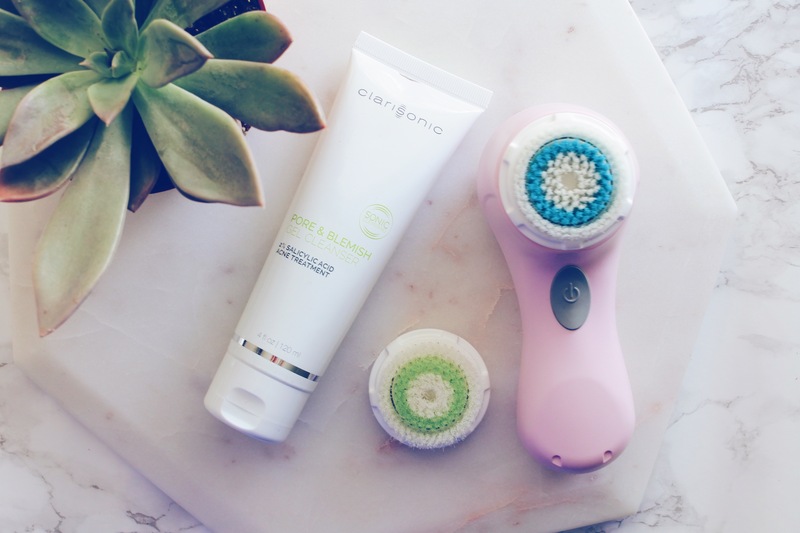 The Clarisonic works great for removing makeup and cleansing the skin. I was amazed at how much makeup was still left on my skin when only using my hands and soap to cleanse. The Clarisonic reaches deeper into the pores and removes the makeup. 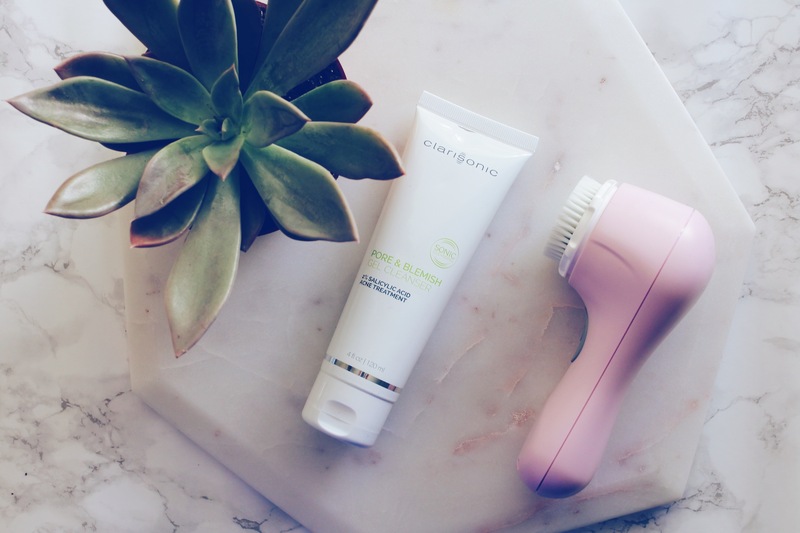 The Clarisonic facial cleansing device does not exfoliate (it’s a myth!) it sonic cleanses! The one universal speed that cleans the skin six times better than hands alone! The vibration of the brush felt very nice on my skin, and it did tickle a little on my nose. I love using my Clarisonic everyday and it’s gently enough for twice a day use. The next step is cleanser. I add the Pore and Blemish Gel Cleanser ($19) to the brush head. Struggling to get rid of those stubborn breakouts? 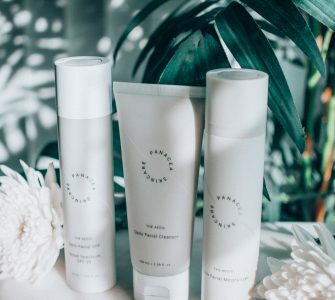 This powerful cleanser helps clear and prevent acne breakouts. Exactly what I have been searching for! It also reaches the appearance of pores and redness. I am excited to see how much my skin clears over time. The gel lathers up nicely and leaves my skin feeling refreshed. It’s formulated with 2% salicylic acid and Lipo Hydroxy acid but won’t over dry skin. Prior to the first use, charge the Clarisonic Mia handle for 18 hours. Push the on/off button to turn on your device. The device will automatically shut off after one minute. 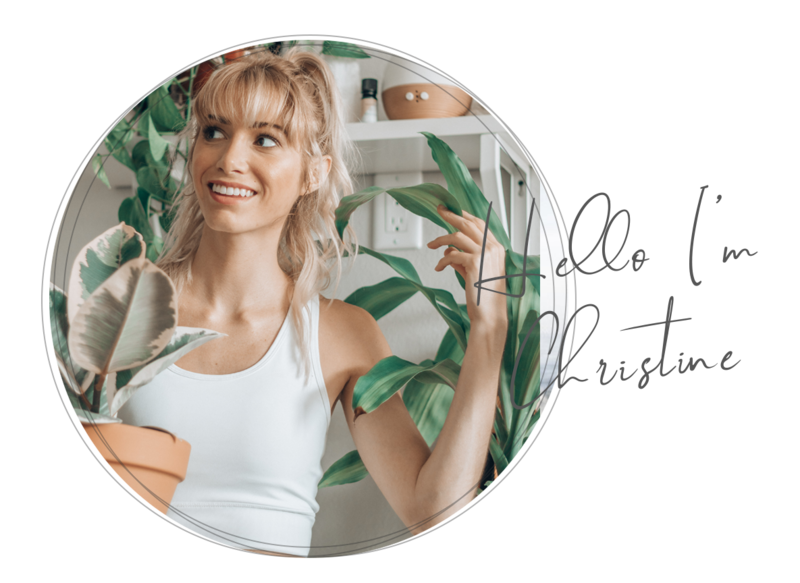 Clarisonic recommends replacing the brush head every 3 months as the bristles become fatigued and less effective over time. Once a week, remove the brush head from the handle and rinse with warm soapy water to remove any residue. The texture of my skin has improved immensely! I love how smooth and clear my skin is. Those stubborn breakouts are the worst and can really put a damper on your day, but I’m so thankful for Clarisonic and their powerful and effective products. Their products are helping my to fight my acne breakouts and achieve brighter and healthier skin! Also, Clarisonic offers monthly payment plans upon credit approval. See terms for details. Do you have Clarisonic Mia 1? Would love to hear how you like it! Also, please leave any questions in the comments! *This post is Sponsored by Clarisonic, however, all thoughts and opinions are my own! I do have acne flare ups from time to time, I have saved your post to give this a try. wonderful options to fight acne while pregnant and while breast-feeding. But wanna comment that you have a very decent site, I like the design and style it really stands out.